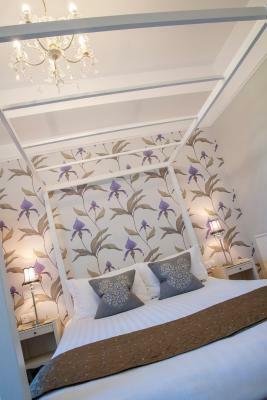 Lock in a great price for Rosemount Guest House – rated 9.7 by recent guests! Location, owners, and accommodations were spot on for a weekend away. The owners are wonderfully accommodating and helpful. Super nice owner, big bed, big room, big bathroom. Lovely hot bath. Big breakfast. 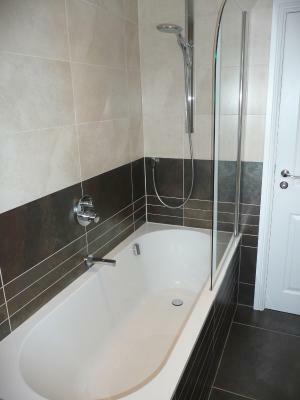 Located walking distance from Windermere town. A very nice one night stop over to rejuvenate. Large bay windows let you look out into the tree lined street. 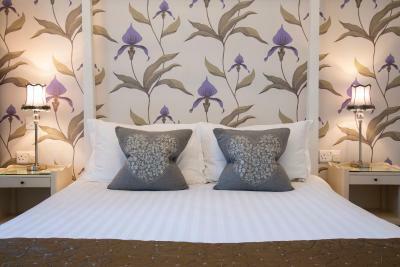 Lovely decorated, clean and comfortable rooms. Great location, short walk to lake, bars and shops. Excellent breakfast choices. super clean room, comfortable bed, tasted full English breakfast, room was pretty. The whole stay was great from start to finish. The owners were very helpful and friendly. Our room was spotless and had all what we required. Breakfast was fabulous with anything you could ever want to eat. The owners were friendly, helpful and attentive. Location was perfect. Room was clean and bathroom newly remodeled. Loved the coffee/tea/hot chocolate/biscuits service on a tray in our room, and it was replenished each day. 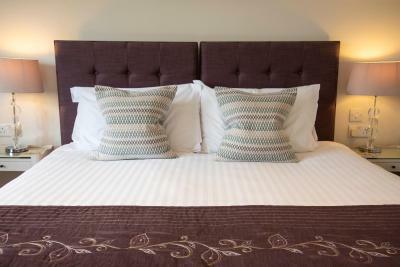 Comfortable bed and pillows with upgraded linens. The hosts were amazing and gave us loads of useful tips. 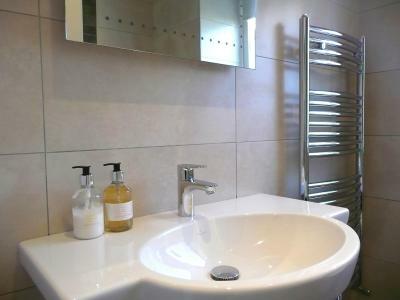 The property is well located and close by to shops and restaurants. The breakfast was also very good. Owners were very nice family people and helped us with suggestion of walks in the area. Room very quiet and clean. Good quality English breakfast! 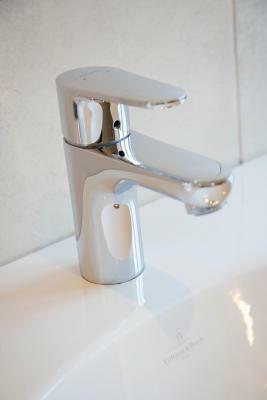 I liked a lot of things about Rosemount Guest House! 1. I liked that it’s perfectly situated whether you want to go to Main road in Windermere or down to Bowness where the pier is at. 2. 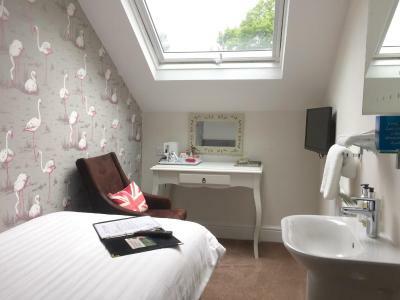 I liked my cute single en suite room and the fact that it’s got a flamingo wallpaper which I’m really fond of. It’s enough room for a solo traveller like me but you’ve got everything you need in it. 3. I love their tummy and heart-filling breakfast topped with very lovely staff to welcome you. 4. Louise was very helpful and accommodating in terms of giving me tips on how to get around, what to see and all that. 5. The price of the room was reasonable and worth it. 6. Lastly, staying in Rosemount Guest House didn’t make me feel lonely or uncomfortable at all. The room was clean with a beautiful view. The bed was comfortable, fresh linens, kettle for tea and coffee. 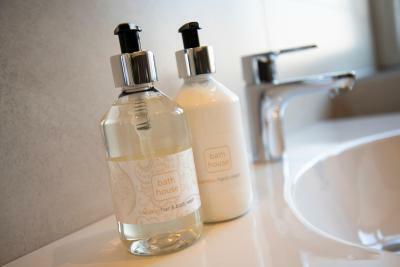 Bath had shower with hot water 24/7, clean towels, shower gel and lotion. The host was welcoming. He told me about the places I could visit nearby. Definitely would recommend to stay. 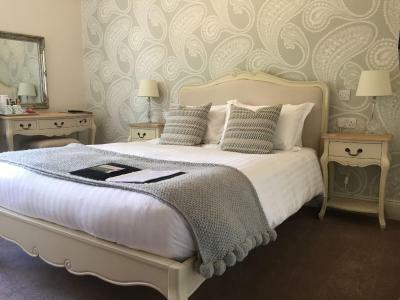 Rosemount Guest House This rating is a reflection of how the property compares to the industry standard when it comes to price, facilities and services available. It's based on a self-evaluation by the property. Use this rating to help choose your stay! 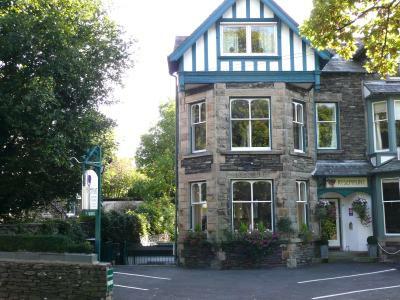 Just 15 minutes’ walk from Bowness and 12 minutes from Windermere Railway Station, the Rosemount Guest House offers contemporary bed and breakfast accommodations. The decor is classic, honoring the charms of the Victorian building. 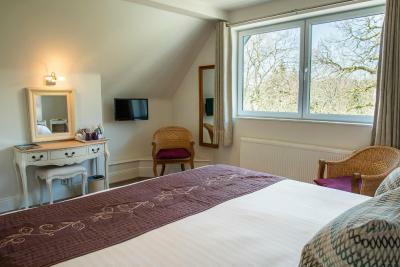 All rooms are en suite and have a flat-screen TV with CD and DVD player and free Wi-Fi. A full English breakfast is included, featuring locally sourced ingredients for a true taste of Cumbria. 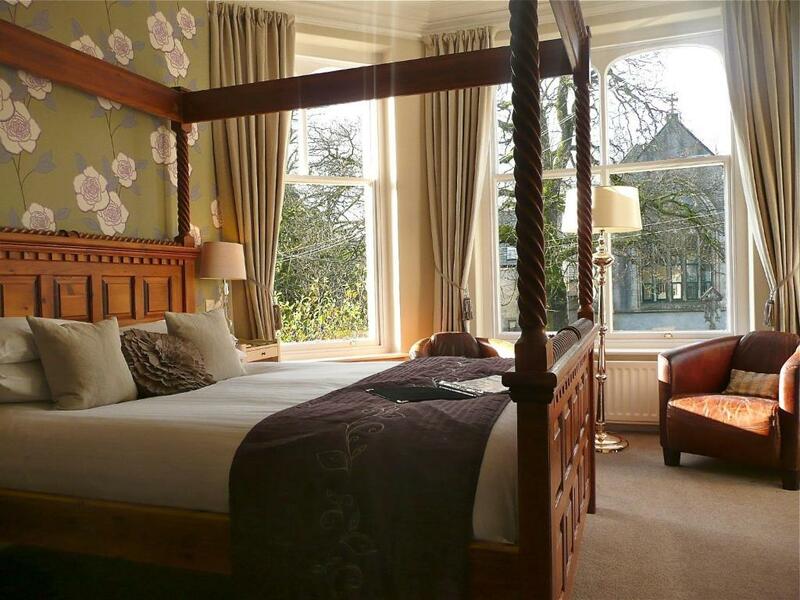 Rosemount is less than a mile from Lake Windermere itself and is a wonderful base for guests wishing to explore the beautiful Lake District. This property also has one of the top-rated locations in Windermere! Guests are happier about it compared to other properties in the area. 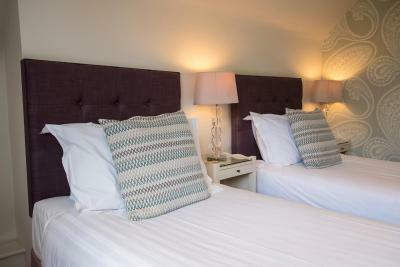 When would you like to stay at Rosemount Guest House? 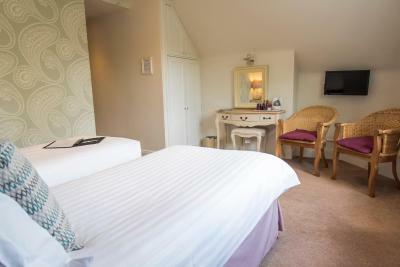 A quiet Double Room located at the rear of the property with a beautiful Villeroy and Boch en suite shower, a 24-inch flat-screen TV with integrated DVD and CD player, and free Wi-Fi. This room is located on the second floor. Private bathrooms are available in this room. Additional amenities include a 24-inch flat-screen TV with integrated DVD/CD player, free WiFi and velux windows with blackout blinds. Tastefully redecorated room with a king-size bed. 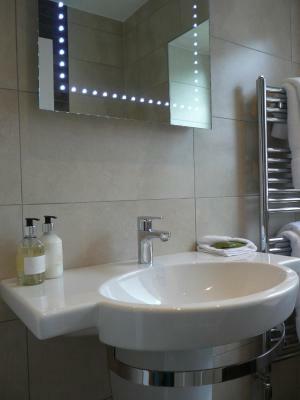 It features a beautiful new Villeroy and Boch en-suite and a 24-inch flat-screen TV with integrated DVD player. Free Wi-Fi is available throughout. 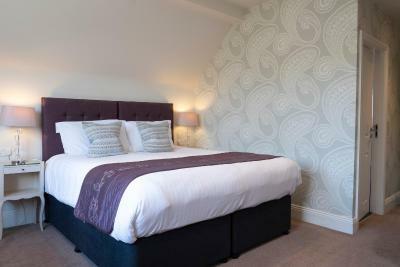 Spacious Superior Room with a stylish Villeroy and Boch private bathroom, a 24-inch flat-screen TV with integrated DVD/CD player, and free Wi-Fi. 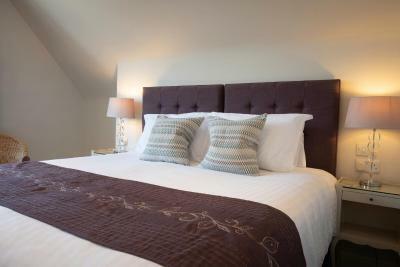 This room comes with 1 king-size bed or 2 single beds upon request. 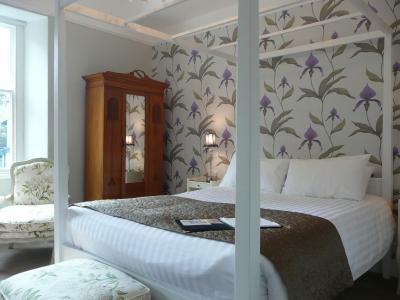 Beautiful king-size room features a four-poster bed and an private bathroom with Villeroy and Boch fittings. There is also a 32-inch flat-screen TV with integrated DVD/CD player and free Wi-Fi. This room is located on the ground floor. 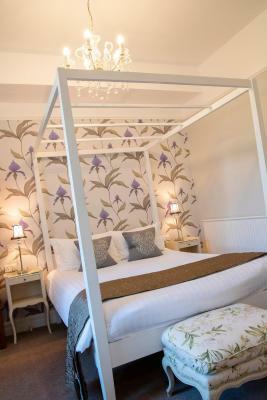 Guests will find a white four-poster bed and private bathrooms containing a Villeroy and Boch bathroom. Additional amenities include a 24-inch flat-screen digital TV with a DVD/CD player and free WiFi. Located on the ground floor, this room offers a white four-poster bed, a 24-inch flat-screen digital TV with a DVD/CD player, and free Wi-Fi. It also benefits from an private bathroom. This room is located on the first floor and towards the back of the property. 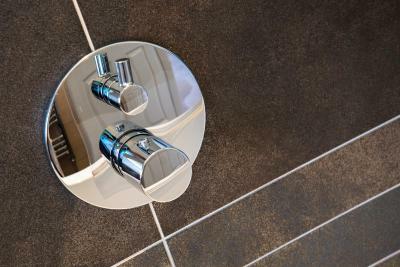 Guests will find private bathrooms in the room. Additional amenities include a 24-inch flat-screen TV with integrated DVD/CD player, and free WiFi. This room is located towards the back of the property. 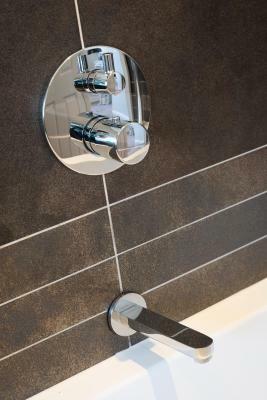 Guests will find private bathrooms with a Villeroy and Boch shower. Additional amenities include a 24-inch flat-screen TV with integrated DVD and CD player, and free WiFi. Hello! We are Andrew, Louise, Annabel and Emilia, the proud owners of Rosemount. 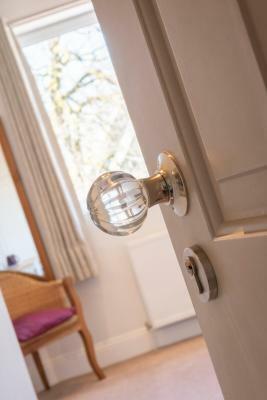 We bought the Guest House in 2008 having not long been married and set about rejuvenating its tired interior using contemporary, stylish themes whilst being sympathetic with the property's 1870's charms. We have been delighted with the results & have since featured in the Guardian's top 10 places to stay in the Lake District. 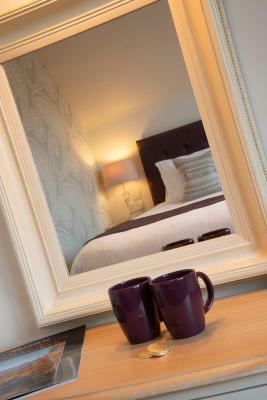 So if you are looking for contemporary accommodation with a warm & friendly feel then look no further! House Rules Rosemount Guest House takes special requests – add in the next step! Rosemount Guest House accepts these cards and reserves the right to temporarily hold an amount prior to arrival. Please inform Rosemount Guest House of your expected arrival time in advance. You can use the Special Requests box when booking, or contact the property directly using the contact details in your confirmation. Warm welcome. The room was well appointed and very comfortable. Breakfast was more than we expected, lots of choice, staff were super friendly and helpful, right in the middle of Windermere and Bowness, cannot fault the place! Spotlessly clean and comfortable room. The owners and staff were warm, welcoming and friendly, making a lone traveler feel right at home. 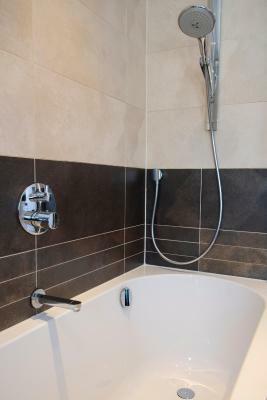 Ideally suited to non drivers, equidistant to Windermere centre, Bowness and transport links. I like everything, nothing to dislike. Confort, cleanliness, and good breakfast. Location is algo very convenient, halfway between Windermere and Bowness. Andrew was a very attentive and considerate host. 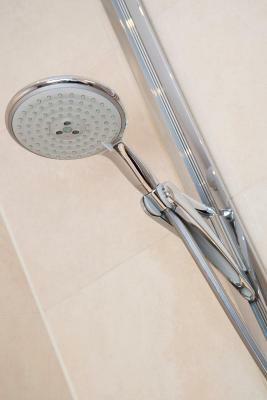 Could do with a holder to put your shower gel in the shower. Very comfortable clean and a great breakfast. I was welcomed by Andrew, who owns the place with his wife Louise. Very friendly welcome and he was very helpful. The room was beautiful, very spacious and comfortable. At breakfast, I had Muriel who was a lovely lady, reminded me of my grandma, and Louise herself on the Sunday. Very pleasant and polite. The breakfast was delicious. Even catered for my dietary requirement. There is a car park outside the property as well. Definitely worth staying here if you are coming over. Louise and Andrew were so friendly and kind. They helped me everyday with tips on where to go. Rosemount is right in the middle of the two towns so an ideal location. Breakfast was delicious full cooked English with other options as well. En-suite bathroom was a delight. 1. Room was cold as was the breakfast room, there is no individual control of the heating. 2. Over 30 stairs to standard rooms. 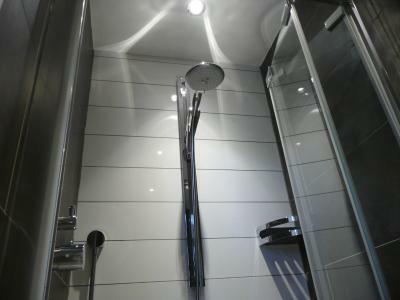 3 initial room given was small, lucky if shower cubical would fit an elf. 4. Furniture could do with an update 5. Cumberland sausage (personal choice) & hard bacon. 6. Tight parking space. 9 rooms on 6 spaces , we were lucky it wasn't full, even tight with 4 cars. 7. 20- 25 mins wait for breakfast too long. Should serve toast with tea. at least you would have something to eat while waiting on the cooked breakfast if you didn't want cereals. 8. Fruit option could be better, as in berries, grapefruit etc , rather than just a bowl of full fruit ie apples oranges, bananas. 1. 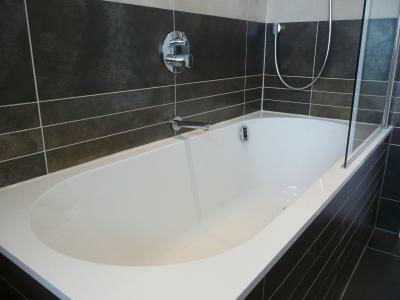 The cleanliness 2. modern bathroom with good shower 3. Soft white towels. 4. poached eggs perfect. 5. Option of beans for breakfast instead of mushrooms. 6. Friendly owners 7. Able to change room as initial one was too small, but that was because it wasn't full. A bit drafty in the bedroom, but not disturbingly so. 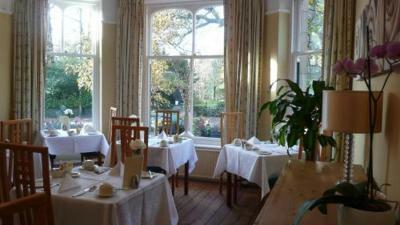 Comfortable rooms, very welcoming and friendly staff and breakfast was excellent!